Cramped, claustrophobic spaces contrasting with deep black voids are highlighted with flashes of the brightest light to give John's paintings a sense of drama. 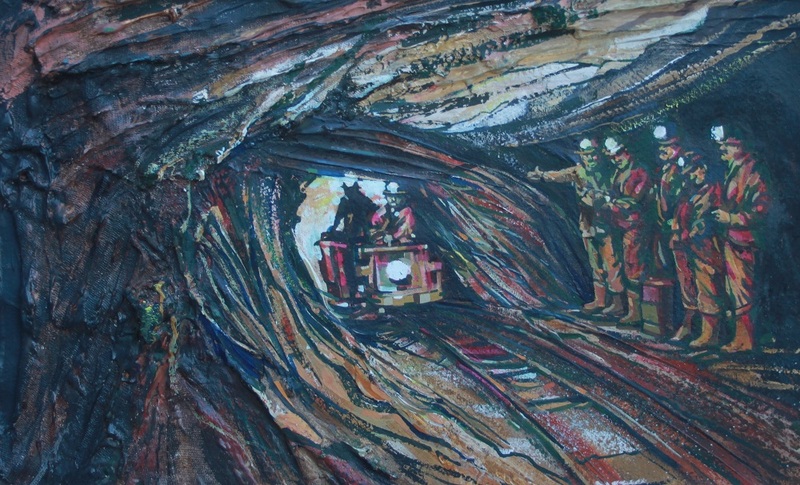 He uses collages of papers to depict massive bulks of rough hewn timber juxtaposed with hard rock. 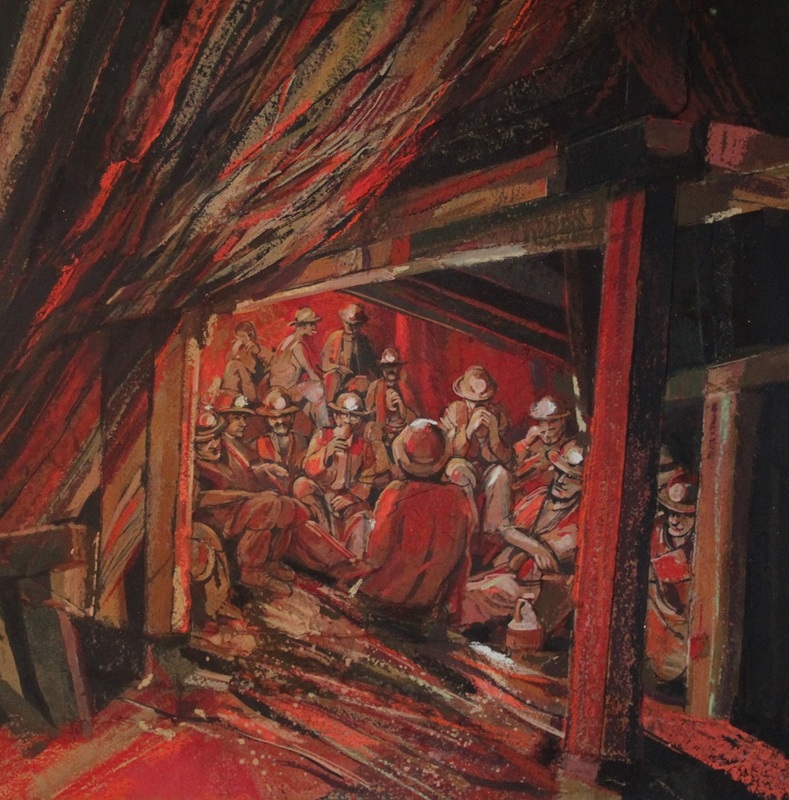 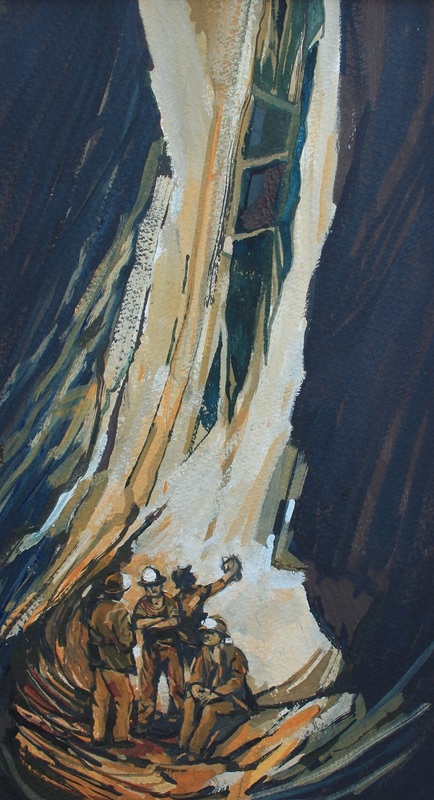 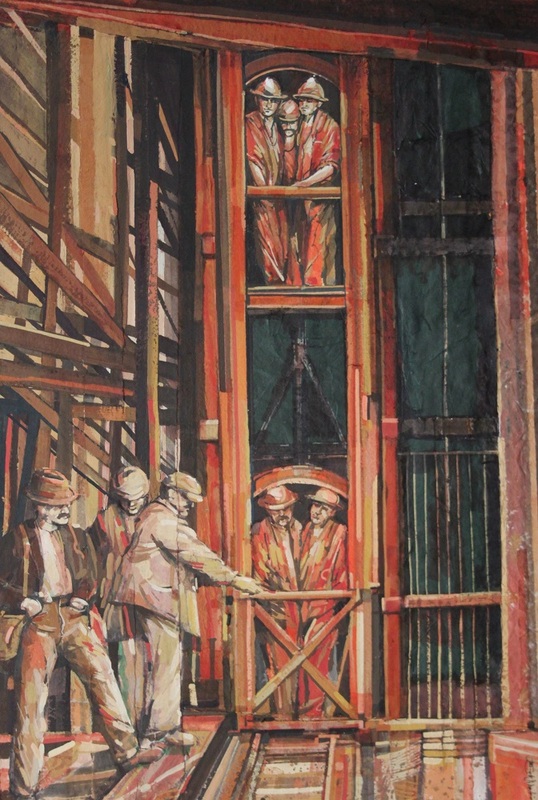 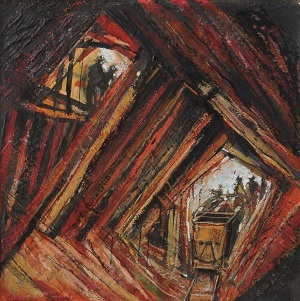 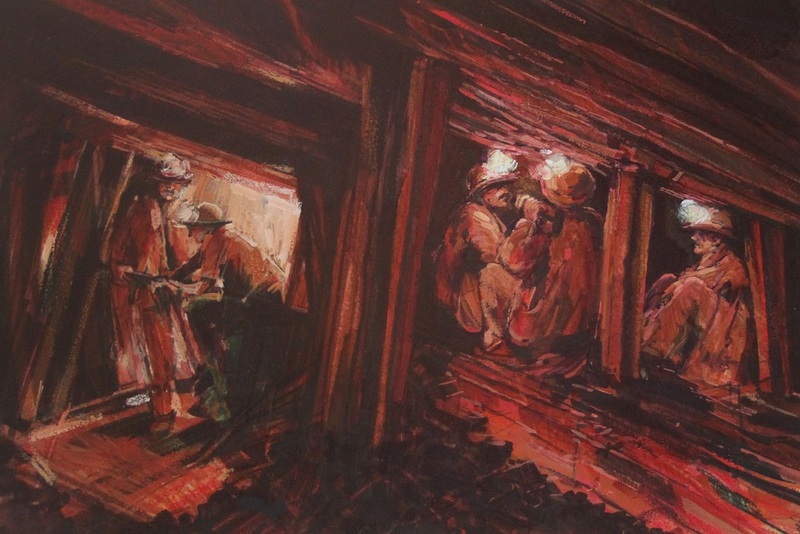 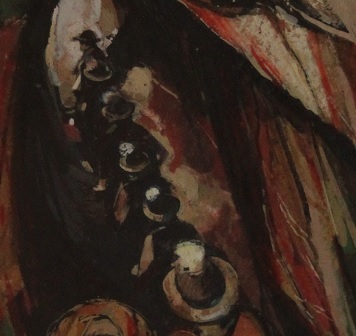 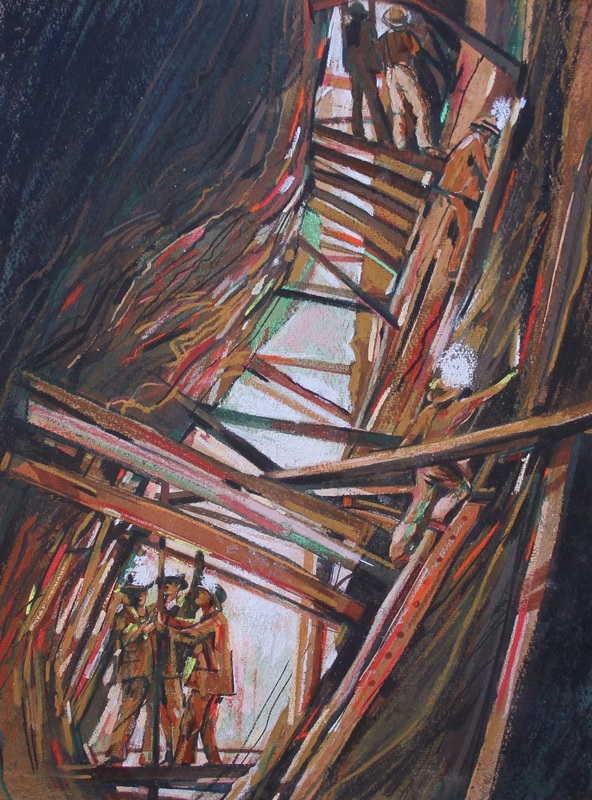 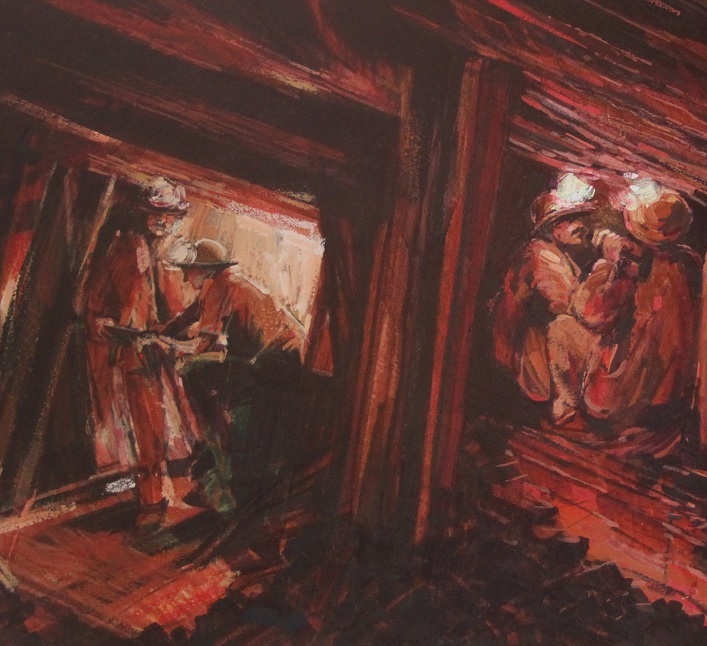 Miners are depicted making the steep ascent up wooden ladeders towards the daylight after many hours toiling in th ehot, dank atmosphere of the deep levels, or caged for speedier escape. 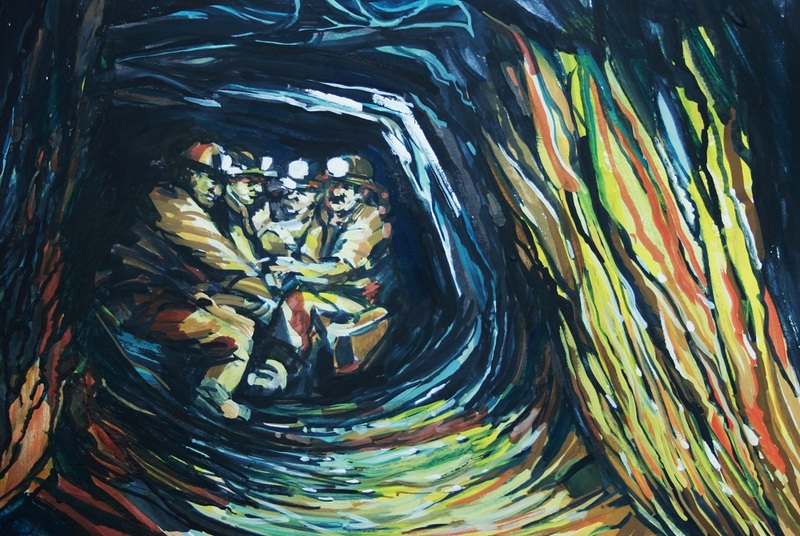 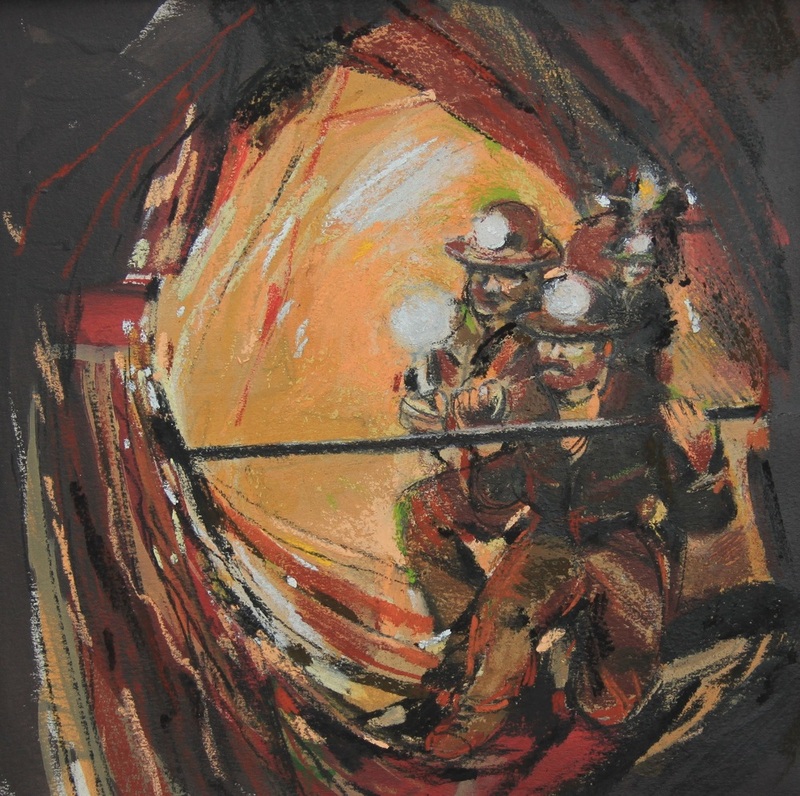 The miners are weary and wet, lit only by the harsh glare from the lights on their helmets; hemmed in by narrow shafts, the blackness of deep chasms surrounds them.